The complaint was filed by the relatively new anti-vaccine organization A Voice for Choice, which emerged during the struggles around SB277, and is run by Christina Hildebrand, to my knowledge, a new face in the anti-vaccine movement. In addition to A Voice for Choice, the complaint names as plaintiffs three parents and four of their minor children. The lawsuit is litigated by the Hakala law group, whose founder, and a named attorney on the lawsuit, Brad Hakala, has litigation experience. In contrast to some of the other SB277 lawsuits, this is a professionally written lawsuit, though it still faces real problems. The first challenge facing this suit – and one it does not acknowledge and address – is the extensive body of precedent upholding school immunization mandates. For over a hundred years every court, state or federal, that looked at a state immunization mandate upheld it. They upheld it because school mandates protect simultaneously two important interests, as stated in the famous precedent of Prince v. Massachusetts – the health and life of the child, who vaccines can protect against dangerous preventable diseases, and the health of the community. These cases, by the way, routinely draw on the due process clause of the fourteenth amendment, and the precedents routinely reject that argument. School mandates with no exemption required were upheld by federal circuit courts as late as 2015, and strongly endorsed by Federal District Judge Dana Sabraw in August 2016. This jurisprudence will present real challenges to any lawsuit. From that sentence on, and continuously, the lawsuit conflates the right to refuse medical treatment with parental rights over their children – and focuses on the former, not the latter. The complaint attempts to argue, basically, that the law forces children to sacrifice either their right to bodily autonomy or their right to education. This argument has several fatal flaws. Here is the problem. It wasn’t S.L. who decided, autonomously, not to protect himself from diphtheria, tetanus, hib, hepatitis B, pertussis, measles, and so forth. Since the schedule starts before children can talk, S.L. was not likely to have been asked. And even once he can talk, the decision is not his, since there is little disagreement that a kindergarten age child is not competent to make that decision independently. The issue is not S.L.’s bodily autonomy. In this context, that argument is meaningless. The issue is parental autonomy to make medical decisions for a child – a right that is protected under our federal constitution, but is not absolute. To give a counter example, if S.L., a kindergarten child, asked his mom to protect him from polio, diphtheria etc’ and she said no, he would not be able to get vaccinated independently – even though if the focus is on his right to decide about medical treatments for himself, he should have as much a right to get the treatment as to refuse it. But S.L. can’t protect himself from diseases himself – even though the diseases are hardly going to respect his bodily autonomy and leave him unscathed. Nor are the same parents likely to accept the argument that their unvaccinated children can reject alternative treatment they provide them with. A portion of anti-vaccine parents believe in alternative treatment and may take a child to the chiropractor. And they are not going to give a child a right to refuse that treatment. Because it’s not about the child’s bodily autonomy. That’s just not true. The claim that S.L.’s bodily autonomy is infringed on is not relevant to SB277, and that argument should be rejected outright. It is so clearly wrong here that opening with it weakens, rather than strengthens, the complaint. This argument, too, doesn’t work. SB277 is not equivalent to removing a child from parental custody. Ms. Torrey-Love maintains custody of her child. She also maintains the right to make medical decisions for that child. She can still decide not to vaccinate. There is no criminal penalty for doing so, there will be no police coming to her door to grab her child and force vaccinate him. SB277 does impose consequences, by limiting her ability to send the unprotected child to school. But as explained below, those consequences are legitimate – and are not the equivalent of denying her the right to raise her own child. Further, the bill provides several options for providing children with education. In fact, several changes were put in the bill to broaden these options. These include homeschooling privately, homeschooling together with other families, or enrolling a child in an independent study program through a public school. Parents can exercise their parental rights and choose how to raise the child: by complying with immunization requirements, and sending the child to public or private school; or by leaving the child unprotected and taking advantage of one of the other options available to educate the child. The parental right in question here is the parents’ right to send their children to school unvaccinated. While parental rights are important, so are other rights and interests. In this case, this specific parental right, under our jurisprudence, must give way to the rights of other children and the community to health and life. I would add that even if the parents persist in not protecting their children, by raising rates, SB277 decreases the chances that an outbreak will occur, and in that way, it also protects the vaccine-deprived children as well. These children’s rights, too, clash with the parental desire to leave the child unprotected and still send the child to school. The complaint repeatedly refers to vaccines as medical treatments. While vaccinating is certainly medical, this language is inaccurate, and serves to blur the difference between vaccinating and, say, life saving surgery for a child or giving the child medicine. It does so in ways that both understate the reasons for SB277 and can actually backfire against the plaintiffs. Vaccines are different from most treatments in that vaccines are a preventive. Vaccines are usually given to healthy children to protect them against a disease they do not have. Vaccines also serve a second purpose. If rates of vaccinating are high enough, a community benefits from community immunity. What that means is that the large number of people protected against a disease prevent the germs from finding the few that are left unprotected. This dual nature of vaccines means several things. First, vaccines are held to a very high safety standard – since they are given to healthy children: they need to be very safe, and modern vaccines are very safe, with their small risks far outweighed by their benefits. More than that, not vaccinating affects not just the vaccine-deprived children themselves, left at higher risk of disease, but those they may infect – children too young to vaccinate, those with medical conditions that prevent vaccinating, and the few that suffer vaccine failure. A large reason that school immunization mandates have been consistently upheld by courts is that a parent deciding not to vaccinated is not just leaving their own children unprotected against potentially fatal diseases – she is putting others at risk, including her child’s classmates, and making decisions that affect other families. I would add that equating vaccines to medical treatments can set a precedent that may backfire against parents like Ms. Torrey-Love and Ms. Hildebrand, if that language is later present in a decision in this case. There is extensive precedent supporting court interference to protect children by ordering life-saving medical treatment. And this language can be used, in future, to require, for example, vaccination of vaccine-deprived children during an outbreak. If the complaint wants to anchor its claims in the right to make decisions about medical treatment, it is by implication directly accepting and reinforcing application of precedents limiting that right when children are at risk to the unprotected, vaccine-deprived children. Probably the strongest argument in the complaint is the claim that SB277 violates their right to education under the California constitution. The reason this is their strongest argument is that this is the one argument on which there isn’t an extensive line of precedents going the other way. However, this argument, too, has serious drawbacks. I developed several of them more in detail here, and this is just a short review. First of all, it’s not clear that the right to education, as interpreted by the California courts, applies in this context. The California courts acknowledged access to education as a fundamental right in the context of wealth-based discrimination. That right has never been used to restrict the power of the state to impose health and safety requirements on school attendance – and it shouldn’t be. Safe schools are a precondition to education – and that includes safety from disease. Disease outbreaks harm and disrupt education. Children deserve safe schools, and SB277 helps that goal. By doing so it promotes education, and does not undermine it. Second, immune-compromised children are denied access when rates of exemptions go up because the school is unsafe for them. SB277 protects their access. Why is it more important to protect the access of the minority of children who will be kept out of school under SB277 because of parental choice, something the parents can easily remedy by vaccinating and protecting their children (and the vulnerable immune compromised children) from disease, then to protect the access of children whose parents don’t have a choice, because their child is already medically vulnerable? Third, the right to education is a California state right. If this is the plaintiffs’ main argument, it’s unclear why federal court is the appropriate venue. They do have other federal claims, though those are weaker, since they conflict with abundant precedents, and those allow for filing in federal court. But the fact that their strongest argument is a state one might work against them. Fourth and finally, even if we accept that SB277 clashes with the right to education, as already addressed in Whitlow, the right to education is not absolute, and children’s health and life, protected by vaccines, can override it. [the law] restricts the ability of children who have not received every single medical treatment under California’s required list to attend a K-12 school education. This unconstitutional condition creates different groups of people who are treated unequally under the law. [the right to education] cannot be unequally granted to children who have received a certain number of vaccines while at the same time be withheld from other children whose parents have chosen not to force even one of California’s listed vaccines upon and into their child. The complaint then describes homeschooling as “separate-but-unequal” and quotes a California Court of Appeals on the position that homeschooling is unequal and places the child at educational disadvantage. There are two parts to the claim. First, a claim that treating vaccine-deprived children different than others is discrimination. Second, a claim that offering homeschooling to these children is discrimination. Neither has merit. …children who get these vaccines are much less likely to get the diseases than children who are left unprotected, without vaccines. Studies repeatedly and consistently show higher rates of preventable diseases among the unvaccinated. In other words, the choice not to vaccinate places a child in much greater risk of getting a transmittable disease. In the school environment, where children are in close contact, that makes the child more likely to transmit the disease to others. Sending an unvaccinated child to school creates a preventable risk that the child will infect other children, for example, children who cannot be vaccinated, young siblings of classmates – too young to be fully vaccinated – or the rare few that suffer vaccine failure. While a vaccinated child can also be among the small percent for whom the vaccine fails, and may also catch and transmit the disease, that situation is much less likely, and unpreventable. It is the difference between an accident caused because someone did not maintain her brakes and an accident caused because of an unpreventable and rare mechanical brake failure. We treat the cases differently because the first is the result of a choice not to prevent a risk, and the second is the result of pure bad luck, with no real precaution available to reduce the risk. It is a meaningful difference. a concentration of unvaccinated children creates a preventable risk in another way. 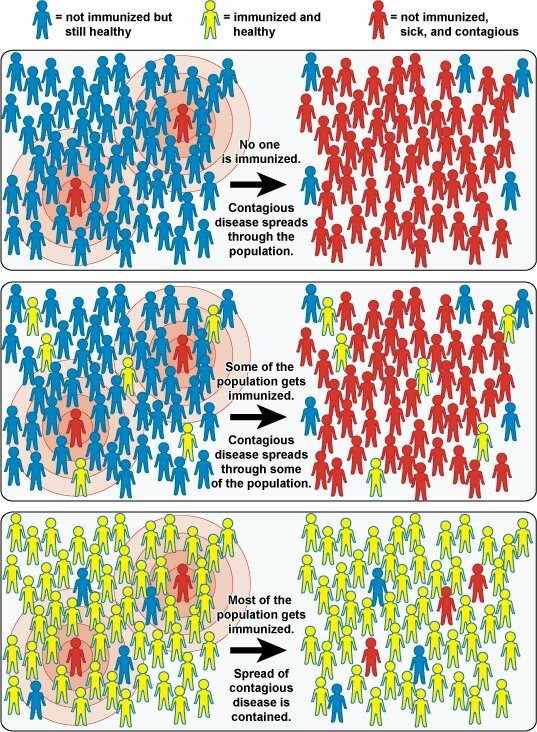 Vaccinating protects against disease both directly – by getting the vaccinated individual’s immune system to generate anti-bodies that will prevent a future infection – and less directly, through the mechanism of herd immunity. As to offering homeschooling and other alternatives, it is not discrimination either. SB277 offers all parents equally the choice of meeting the health and safety requirement of vaccinating, or not sending the child to public and private school. However, parents do not have the option to leave the children without any education. They have to provide some educational option. To provide options for parents, the law offers a range of possibilities – including not only homeschooling, but independent study with a public school. It is hardly discrimination to offer options, and the children are all treated similarly. Just like it’s not discrimination to give the opportunity for homeschooling to parents who don’t want to comply with other aspects of public education, it’s not discrimination to do so here. And of course, the existence of the independent study options negate this argument even more. In several places the complaint makes factual claims that are either dubious or simply inaccurate. The complaint claims that the vaccine list requires 26 medical treatments to enter Kindergarten. The law requires that children be vaccinated against ten dangerous diseases before they enter school. 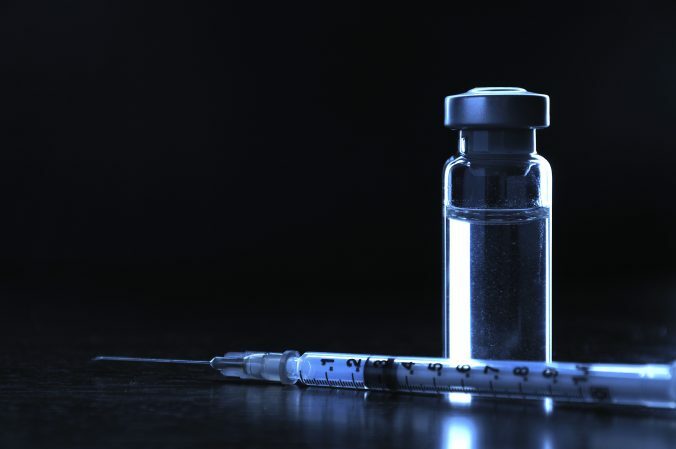 While some of the vaccine series have multiple doses, it’s unclear what is counted as medical treatments here, or how the number is arrived at. Is the complaint counting MMR, for example, as three medical treatments? If so, why? Does it count DTaP as one or several treatments? The complaint downplays the Disneyland outbreak, going so far as to put the word outbreak in scare quotes. It claims there were “no deaths or serious adverse outcomes”, and suggests it had nothing to do with schools. However, that’s not accurate. First, among patients with known hospitalization status, 20% were hospitalized. The plaintiffs may not see that as serious, though it’s unclear, without knowing the reasons for hospitalizations and the outcomes, what they base that view on, but others may. It’s also too early to know if there will be cases of SSPE from that outbreak – an always fatal measles complication that develops years after the fact, and has recently been found to be more common than thought, especially among young children. As to schools not playing a role, the majority of cases were in unvaccinated or under vaccinated people – and exempt children grow up to become unvaccinated adults. In fact, research found that the cases were concentrated in under-vaccinated areas. In one case, unvaccinated high school students had to stay home after another students exposed the school to measles. While professionally written, the new SB277 lawsuit faces serious hurdles from existing law, and in several places makes extremely problematic, weak arguments. One never knows, going in, how a court will decide. But a court will be more than justified in dismissing this suit, too, and upholding SB277, keeping our schools safe from preventable diseases. Lawsuit attacking SB277 – full complaint.